Can the best of British lift the spirits around F1's most famous circuit? 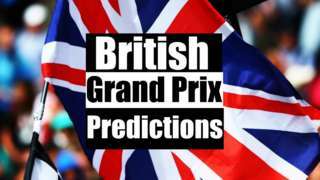 Predict who you think will win at Silverstone. 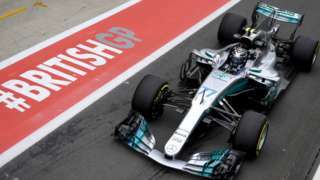 Valtteri Bottas leads Lewis Hamilton to a Mercedes one-two in second practice at the British Grand Prix - but the Finn will receive a five-place grid penalty. Thanks for following today's feed, where we went behind-the-scenes at Silverstone during practice day. Scroll down to catch up on all the highlights, as Mercedes dominated in the two sessions. Also down the local are these lads from Oldham. Paul (far right) said: "It's our seventh time here. I think it's Lewis' race to win this weekend." Meanwhile, Ian and Tony have made the trek up from Portsmouth. Ian (left), talking about the uncertain future of the race in Silverstone, said: "They need to negotiate it and hopefully we'll see it continue." Where better to go than to the local pub. I'm in the rather picturesque Silverstone village, where a number of F1 nuts have headed for a pint (and in some cases, some nuts) following today's practice sessions. Brothers Matt, 33, and Daniel, 31, are here from Eastbourne for the race. Last weekend they were in Austria. Matt told me: "I'd love to see Lewis make it four in a row, but Bottas [his Mercedes team-mate] is driving well too. Daniel: "It's a must win for Lewis to be honest. I hope Kimi does well too. The Ferrari's have been really strong this year - it's good to be seeing competition in the sport. Talking about the recent decision by the owners of Silverstone to try and renegotiate its contract - putting the future of F1 in Northamptonshire at risk past 2019, Matt added: "I'd be devastated if Silverstone lost the race - this is the home of motorsport." 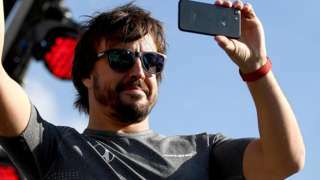 McLaren's Fernando Alonso will start the British Grand Prix from the back of the grid because of a total penalty of 30 grid places. Lewis Hamilton has just been pictured in the paddock chatting to young racing driver Billy Monger. If you don't know, Billy had both legs amputated following a high-speed crash at Donington in April. He was spotted today in the Mercedes garage, where he spent the day meeting the team and chatting to Hamilton. Are you heading here to witness all the action? 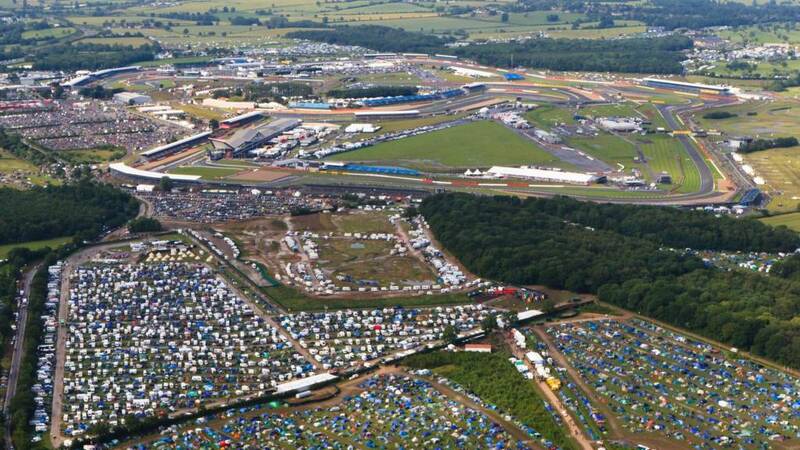 Worth reading this advice if you're heading to Silverstone this weekend. 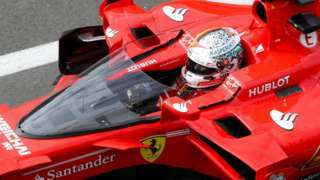 Sebastian Vettel says he did not like the new 'shield' head protection system when he tried it in practice at the British GP. The likes of Lewis Hamilton and Fernando Alonso aren't the only stars of Silverstone - a whole load of acts have been booked to play the main stage in the F1 Fanzone. Tonight there's an '80s theme with Carol Decker (pictured) from T'Pau and a Sara Cox DJ set. Stage manager Tanya Baker is responsible for organising the entertainment and said: "It takes a lot of planning - we start thinking about it in October. "We make sure what goes out on the stage is enjoyable and suitable for everybody - of all ages. "It's not just about people who want to watch Lewis Hamilton for hour after hour - it's for people who just want a good day out." Renault's Jolyon Palmer talks to BBC radio 5 live's Tom Clarkson about the British GP, the craziest thing he's ever done and if he would do a "shoey" with Daniel Ricciardo. Turns out they're autograph hunters. Sorry folks. Maybe I'll be famous one day. 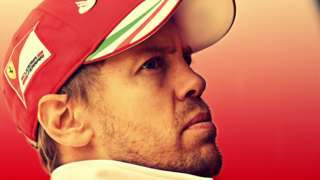 Sebastian Vettel's red-mist moments are caused by a "win-at-all-costs" killer instinct, says his former Red Bull boss Christian Horner. It's refreshment o'clock, I say. But stay with us as we'll continue to bring you what's going on behind-the-scenes.